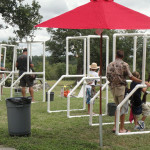 Texas Auto Carriers is proud to contribute to our community. We feel a solid connection to the communities in which we live and work and are always looking for ways to make a positive impact. 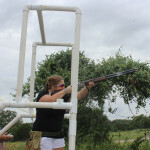 Each year, Texas Auto Carriers holds a major sporting clays fundraiser for the Multiple Sclerosis Society titled “SHOOT FOR MS”. 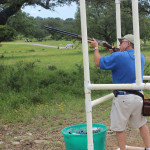 Company owners, LouAnn and Ford Wagner, both love shooting sports and have a long history of involvement with youth shooting sports programs throughout Texas. 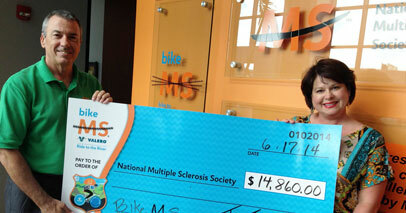 The Shoot for MS event raised over $50,000.00 dollars for the MS Society over the past three years. In addition to shooting sports, Cycling is another passion of the owners and it has been a creative way to give back to the community. 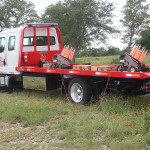 For several years, Texas Auto Carriers has sponsored a team of cyclist who train and ride all year long to be ready to participate in the “MS150 Ride to the River”. This 150 mile bicycle ride is epic and is one of the largest fundraisers held across the nation. 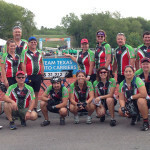 Texas Auto Carriers achieved the honor of being a top ten fundraising team for the 2014 ride and hopes to exceed that level in 2015.